Many of us suffer from allergies – or what we think are allergies – but what are in fact food intolerances. There is a difference between an allergy and intolerance to a particular type of food and these can be best described as the difference between inside and outside the body. An allergy will often set off a reaction that affects the skin, the eyes or causes nausea and headaches while an intolerance to a foodstuff can produce an entirely different and sometimes more medically worrying set of symptoms. Over the last few years the number of products available to eat which contain either gluten or wheat has at least trebled in the United Kingdom. These products can be anything from snacks to breakfast cereals to breads and can be things that each and every one of us enjoy eating and do eat on a regular basis. One of the problems with something like wheat intolerance is that it can take a long time to reveal itself first starting off as a minor ailment before finally unleashing all of its symptoms upon the sufferer without them having any warning at all. What are the Symptoms of Wheat Intolerance? There are a few common symptoms associated with Wheat Intolerance – and indeed they can be associated with an intolerance to a variety of different foodstuffs – however the body reacts to them in the same ways. All of the aforementioned symptoms can be present in an individual who suffers from an intolerance to wheat but the symptoms may not present themselves all at the same time. Indeed in some instances the sufferer may think that he or she is suffering from food poisoning or perhaps Irritable Bowel Syndrome (IBS). If you are prone to any of the aforementioned problems especially on a regular basis then you should be thinking about – if you have not already done so – consulting your doctor. He or she will want to try and eliminate all of the usual suspects as early as possible in the diagnosis and may ask you to list the things you eat a lot of. Again it is worth remembering that many people suffer intolerances to a variety of different foodstuffs and ingredients without even knowing it and over time an individual can build up an intolerance to a particular ingredient or food if they eat or ingest too much of it. This is what your doctor will aim to eliminate first. Once he or she has built up a picture of those foods you eat a lot of they may well ask you to try doing without the most popular items in between appointments in order to see if the symptoms persist or subside. This may not sound like a particularly strenuous diagnosis but it is – for the most part – a sure fire way of showing an individual’s intolerance to a food. 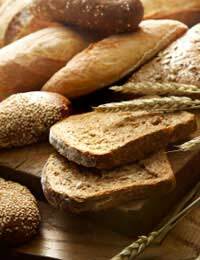 If you are found to have a Wheat Intolerance then it will be expected by your doctor that you will cut back on the amount of wheat you have in your diet. This may involve having a dietician help to produce a diet for you that eradicates Wheat altogether but ensures your body receives all the nutrients, vitamins and Carbohydrates it needs. You will find also that many products are now available on the market which contain no Wheat or gluten and have substitutes which carry out the same purpose; it may be that you need to explore these. Whatever the course of action suggested to you by your doctor, if you find that Wheat is the cause of your problems then you should strongly consider taking your doctor and dietician’s advice rather than make the problem much worse later on.